Please note that different shipping rates apply to these products. If an order weighs more than 30 kilos we ship per pallet and we charge € 50, - even if your order value is above € 35, -. These extra shipping costs are automatically calculated in your shopping cart. 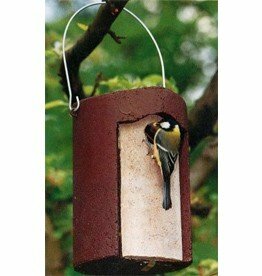 Mounting: The nest box can easily be attached to any wall, tree or shed with the aid of the hanging wire. 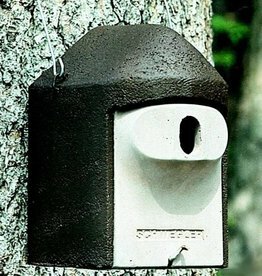 Nest box predation security for nuthatches, chickadees, house sparrows, red tails and spotted flycatcher. 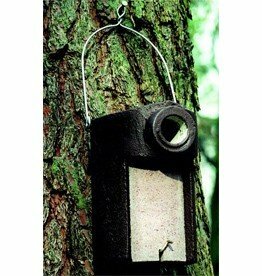 Like our Nest Box 1B, this box also has a brood chamber with an internal diameter of 12 cm. 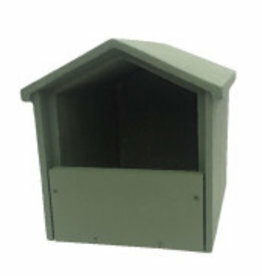 The design of this nest box and its front panel provides effective protection against cats and martens. 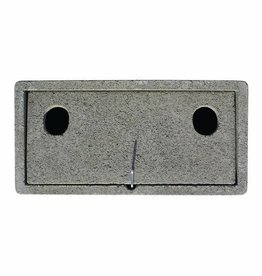 This APK-1 Nest box for Swift is made of ecological sawdust concrete and can be wall-mounted. 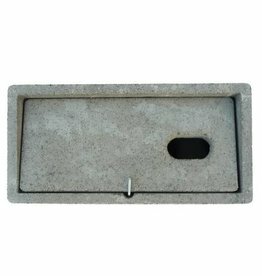 Nest box of ecological sawdust concrete for sparrows. 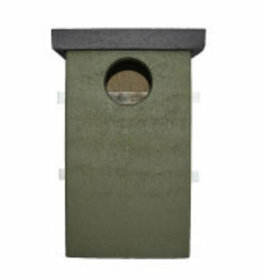 Nest box AP-6 for jackdaw is made from ecologically-made sawdust. 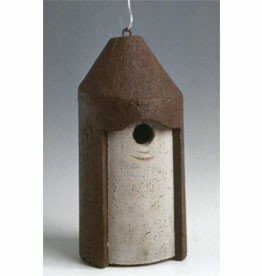 Nest box AP-5 for Kestrel is made from ecologically-made sawdust. 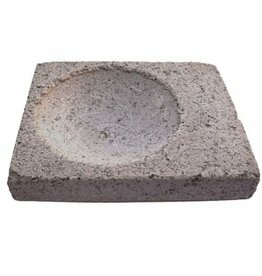 The APK-1a nest-mould is made from ecological sawdust. The nest bowl limits the rolling of the eggs back and forth to a minimum and thus prevents from falling out.